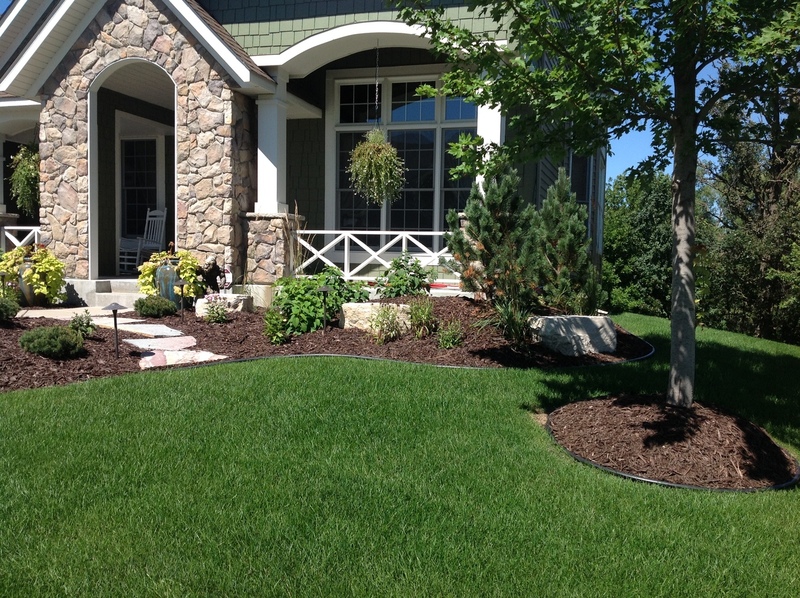 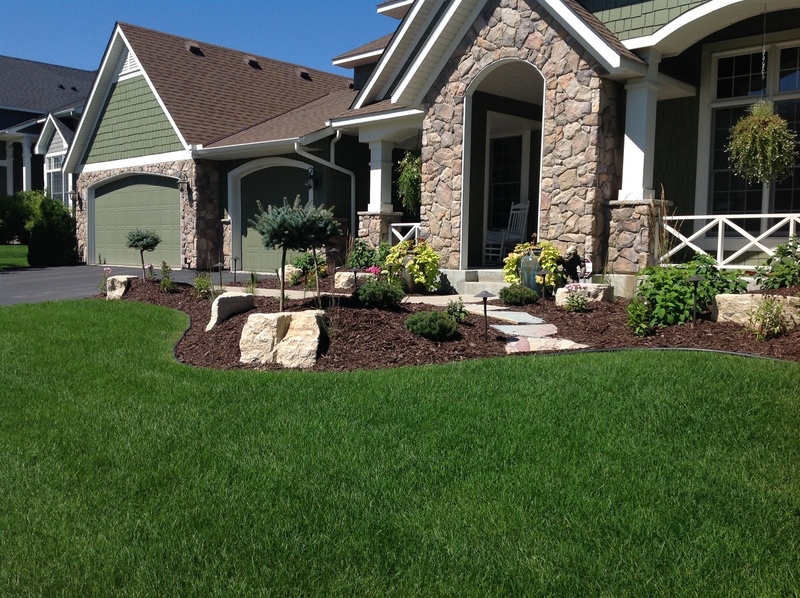 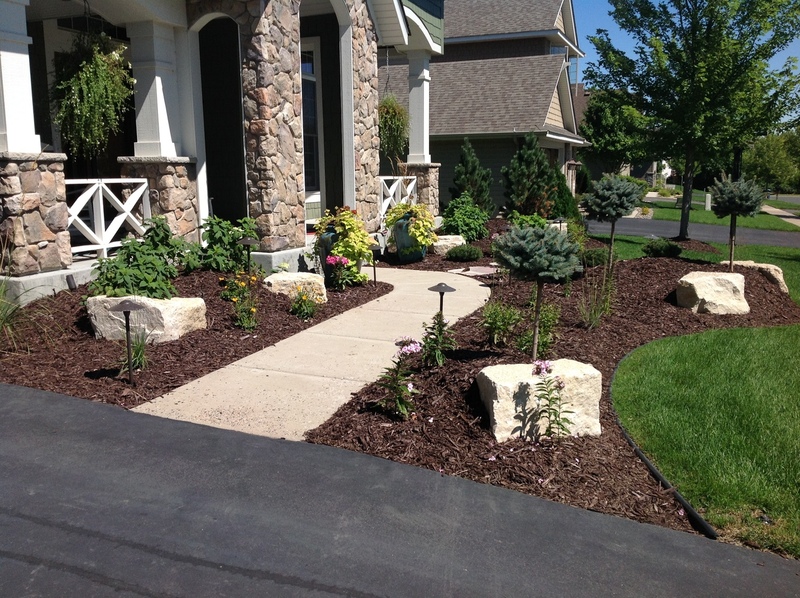 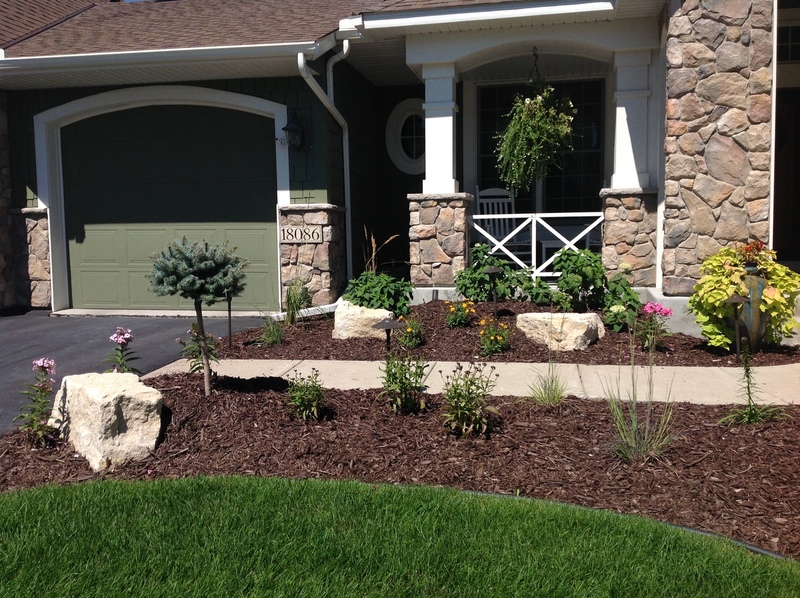 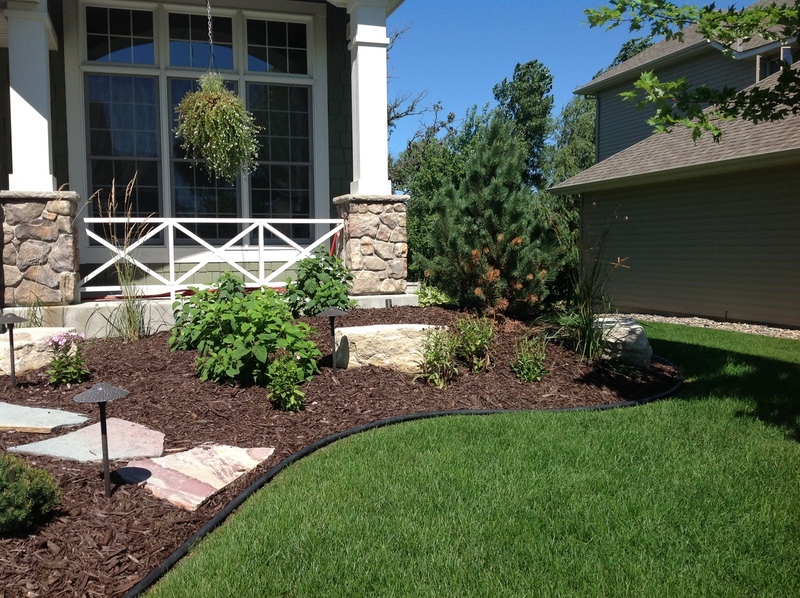 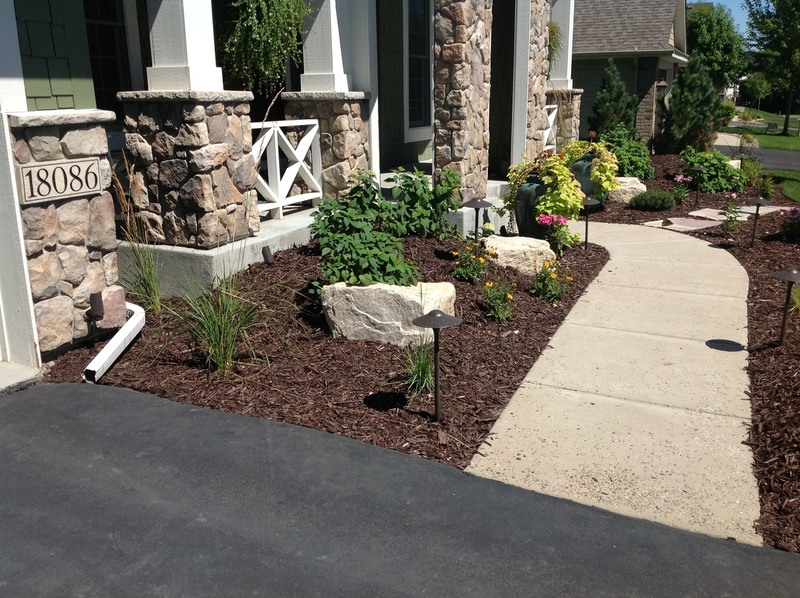 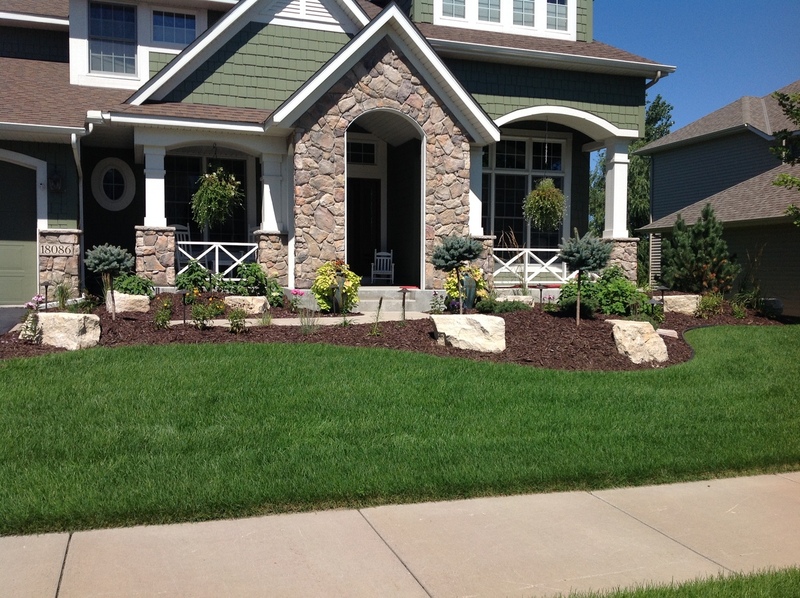 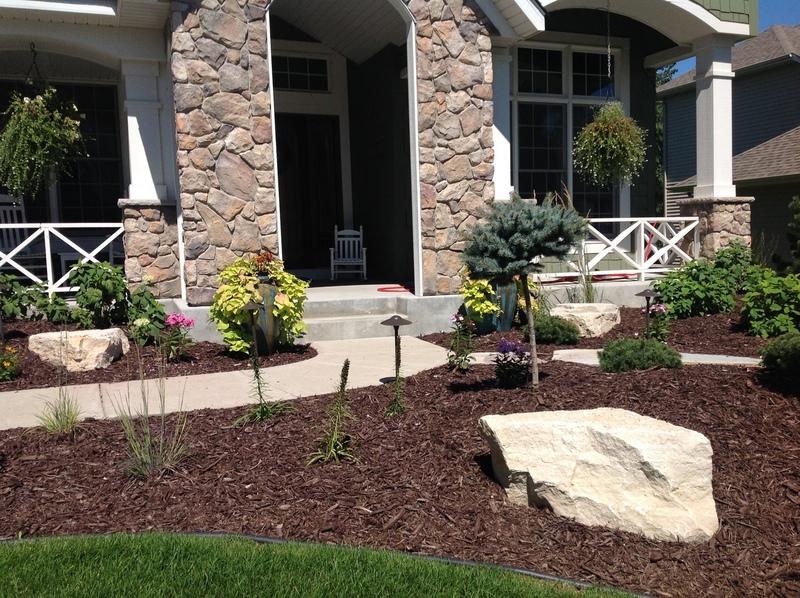 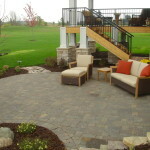 This custom landscape project in Maple Grove, MN used many different varieties of plant material to provide year round color. 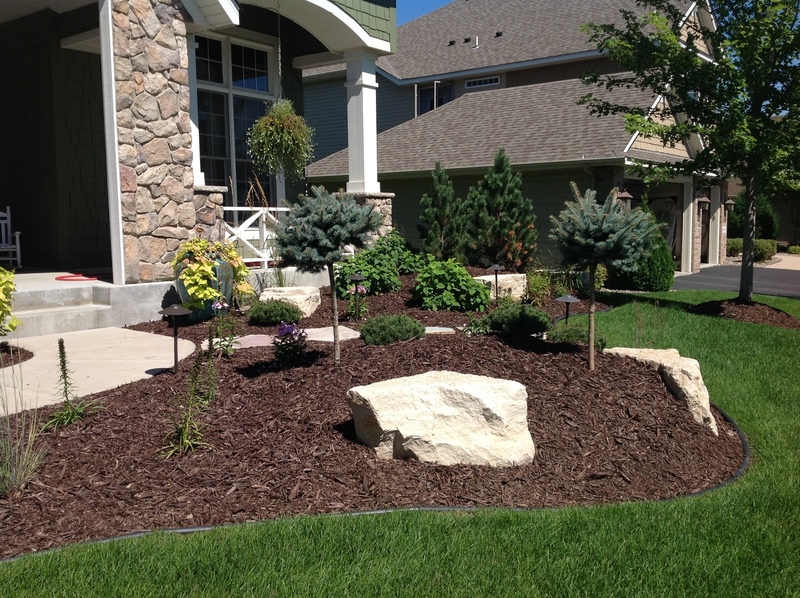 The evergreens were brought in to add some height as well as winter interest. 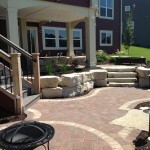 The light colored limestone cube outcroppings provide a balance of hard and soft materials. 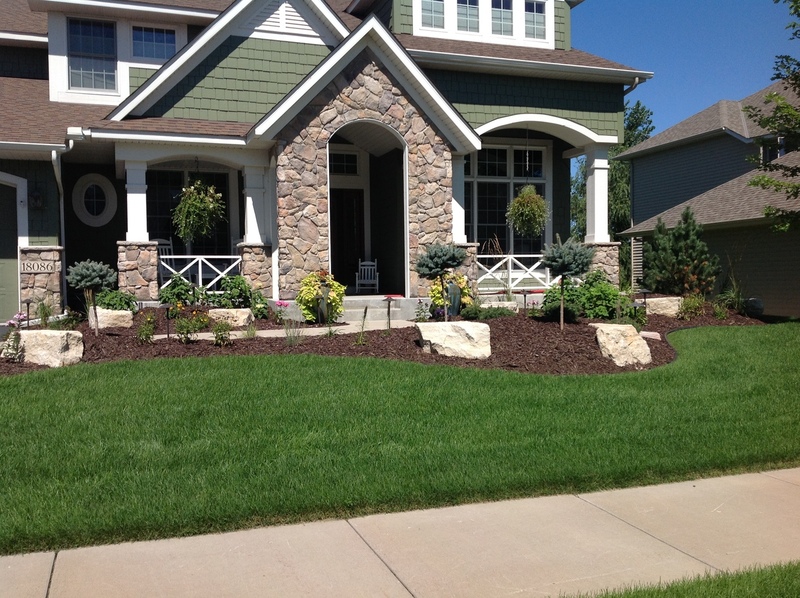 The landscape really showcases at night with the spot lights that shine up on the stone columns and the down lights that accent the sidewalk and plants.